Many people are put off skiing as they’re under the false impression that it’s a pastime of the super-rich. While it’s true that ski trips can add up, it is possible to go skiing on a budget. 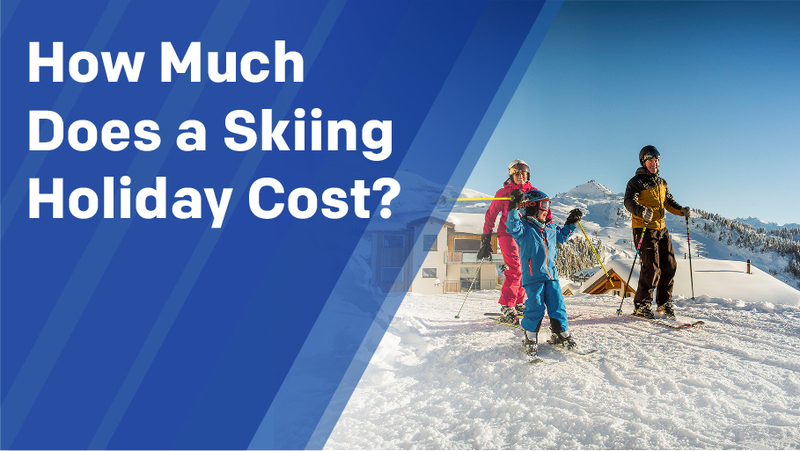 So, how much does a skiing holiday cost? The average ski holiday costs anything from £2000 up to £15,000 and more in the most luxurious catered chalets! If you pump for five-star accommodation with all the extras, it’s going to cost you. However, with more budget ski packages and tricks available, it’s easier than you think to save money without compromising on fun. We’ve broken down each cost, from flights to ski lessons, so you can find out how to book a ski holiday that won’t break the bank. Your choice of ski destination could make all the difference to your holiday budget. The more pricey resorts such as Courchevel in France, or Cortina in Italy offer glamour and glitz with a luxury price tag to match. However, there are plenty of more reasonably priced resorts in Europe to discover. Finding cheap places to ski can require a bit of research, but the savings will more than make up for it. Ski resorts that are a little out the way of the big-name destinations are often more affordable. 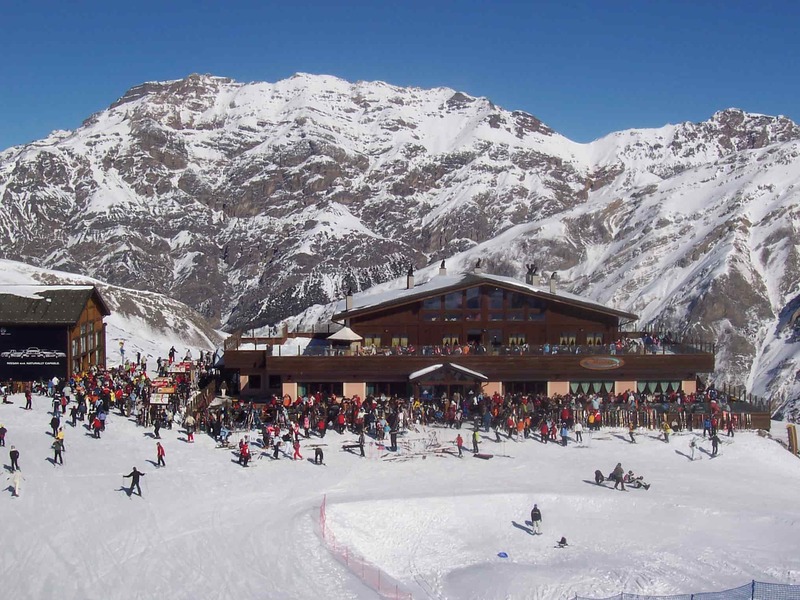 Livigno’s location a little off the beaten path makes it a great option for those on a budget. One of the biggest draws for skiers looking for a bargain is the special tax status that Livigno holds. Livigno is a no VAT zone, which means drinks can be free flowing and you might want to save space in your luggage to bring back some cheap souvenirs! Low prices don’t mean you have to compromise on quality. Livigno has great ski parks and off-piste adventure trails for experts to explore. Not to mention reliable snow cover all season long and charming nightlife. 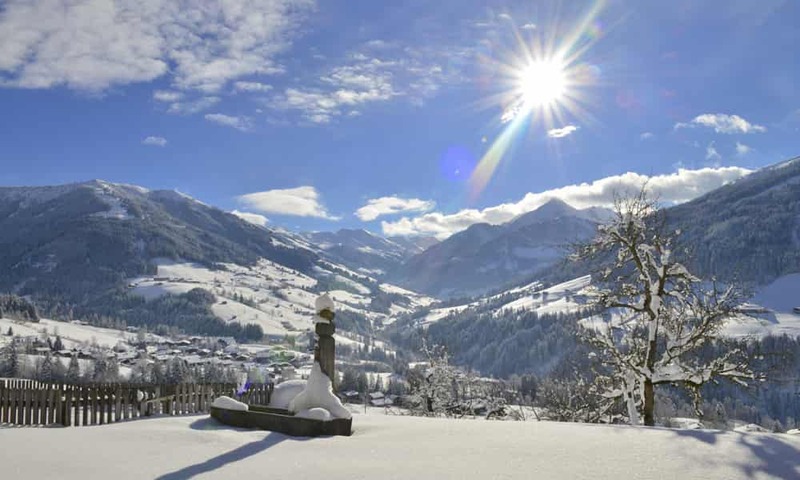 Alpbach in Austria is fantastic value for money and is hugely popular with British skiers due to the picturesque setting and top-quality ski schools. Alpbach is particularly good for beginners hoping to test the waters at the centrally located nursery slope. The cheapest week to go skiing here for families is during Alpbach’s dedicated family week, when under 15’s get a free ski pass! Choosing your flights carefully can really cut the cost of your ski holiday. Obviously, travelling first class with a premium airline will blow through your budget. Luckily, most economy airlines offer convenient flights to all major skiing destinations in Europe. Package deals often include flights. But we’ve found going DIY can actually work out cheaper. Although it may be tempting to have everything organised for you with a cheap ski holiday deal, going it alone means you can be more flexible with dates. The time you travel can make a big difference to the ticket price. Avoiding school holidays, weekends and peak ski season will keep costs down, while travelling midweek tends to be your cheapest option. Make sure you book early to get the best deals, at least two months before you plan to travel. Be wary of the airline’s baggage policy if travelling with ski equipment, as some airlines don’t allow ski equipment as part of your standard allowance. Avoid any additional charges by using our long-term, ski storage service. Simply leave your skis with us at the end of your holiday and they’ll be ready and waiting for you next season. Ski resort accommodation ranges in price; from luxury, all-inclusive chalets where your every need is catered for by a team of staff, to more basic hostels for those more interested in skiing and socialising than living the high life. Hostels are a convenient option if you’re travelling with a group of friends. A cheap and cheerful dorm room to rest your head is all you need if you’re planning to spend your days on the slopes and nights on the tiles. If you’re after a cheap family ski holiday, a catered-apartment could be your best bet. Save money and please fussy little ones by cooking your own meals in the privacy of your apartment. Most hotels in the Alps tend to be small scale, family run affairs that won’t break the bank. Friendly and convenient, a hotel might be a better choice if you want to mix with other holiday makers at mealtimes. At the most luxurious end of the private chalet market, a weeks stay will cost you an arm and a leg. Complete with private gyms, saunas and on-hand staff, they make for a truly unforgettable experience. However, you can find smaller, reasonably priced chalets at most European resorts. Some shared chalets even come with live-in child care! If it’s your first time skiing, you’ll need to purchase a lot of gear before you can hit the slopes. 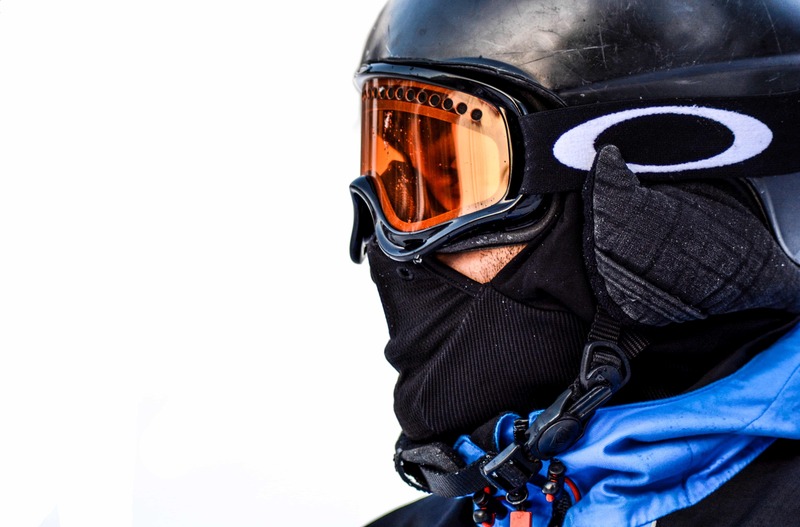 The most current, cutting-edge ski wear often comes with a sky-high price tag. Buying second hand or renting ski wear is an easy way to keep costs down. If you’re heading for some winter sports on a ski or snowboarding holiday, you’ll be needing some ski equipment. While seasoned skiers may have their own, trusty skis, skiers and snowboarders who don’t make regular trips might want to consider hiring their equipment. Alps2Alps provides a professional ski hire service, with hiring shops conveniently located in Geneva and Albertsville. Get premium equipment at affordable prices, without the commitment of a big investment. For first-time skiers, a few ski lessons from a skilled instructor can make all the difference to your experience on the slopes. A week of morning lessons are all you need to get the basics down before you can start exploring on your own. For those new to skiing, buying a pass for one lift on your first day so you can practice on a few nearby runs will save you money. If travelling as a family, a family ski pass offers great savings. The best ski holiday deals offer free passes for children under a certain age with a full paying adult. A holiday wouldn’t be complete without a little bit of indulgence. The main goal, after all is to have a good time and relax with loved ones. What you spend on food and drink depends on where your interests lie. Foodies may want to take advantage of some of the culinary delights that European ski resorts have to offer. Alta Badia in Italy is home to three Michelin star restaurants, while Zermatt in Switzerland is known for its gourmet food offerings. To save money, there are plenty of tasty, more rustic dinner options throughout Europe offering hearty, filling grub. A steaming bowl of cheese fondue always goes down well after a day on the mountain! For a real bargain ski holiday, opting for catered accommodation and making packed lunches for the day will really keep costs down. Not to be forgotten! A broken ankle mid-way through a skiing trip is not unheard of, and medical costs can run high. Last but not least, a transfer to whisk you from the airport to your ski destination is a small investment well worth the pennies. Here at Alps2Alps, we provide a reliable, low-cost transfer service that will get you to the slopes in style. Head over to our booking page to get a real-time quote in seconds!